Getting Divorced? It all seems like it’s falling apart. You’ve probably been married quite a while and thought that it would last forever. You may feel like you are on an emotional roller coaster – up and down, not sure where to start or what to do. It will be hard, but don’t let your heavy heart prevent you from knowing and believing that you can stand on your own; financially, emotionally and HAPPILY!! 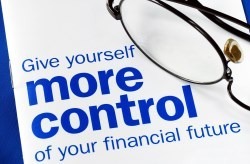 Working towards personal financial goals will help to increase your sense of INDEPENDENCE. It will distract you from dwelling on the heartbreak of your divorce by focusing on your own self-improvement. Just know that you are experiencing a new found INDEPENDENCE! And it’s good for your brain because the sense of accomplishment that accompanies meeting a goal can create positive chemical reactions in your brain which, in turn, can improve your mood. You can become stable and secure with your personal finances during and after your divorce. Focus on the first goal. 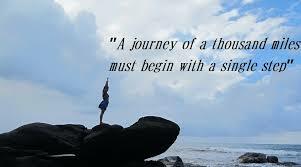 After you have accomplished the first step, think about the next one and continue from there. Keep each one simple – don’t be too ambitious. Set yourself up to succeed by starting out slow. Start with the intention to increase as you go forward. You need to remember to be FLEXIBLE and FORGIVING. There may be some times that you veer off from your plan, but don’t bother about it – you can start over if you need to and get yourself back on track. Accomplishing steps towards goals can create those positive chemical reactions in the brain. But sometimes we need more to keep us motivated. Try to reward yourself with something each time you achieve a step towards your goal. It’s not always a good idea to let others have total control of your financial situation during a marriage. But if you have finally made the decision to take back control of your financial destiny, then a brand new world can start to open for you. You will realize that your abilities, talents and experiences will help you to achieve a much greater sense of freedom, with happiness sprinkled in along the way. The journey to financial INDEPENDENCE is not an easy one. It is an important one that is entirely up to you on how you want your future to look. divorce is in your future, we can help!! 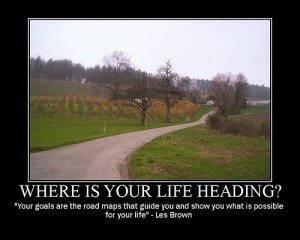 Understanding where you are right now will allow you to map out where you ultimately need to go. Even though where you currently are in your life can seem to be unpleasant, it is vital to your empowerment process. You have to reestablish yourself with completely separate finances. By cancelling all joint credit cards and starting over you can establish your own credit score and financial history. Advise all financial institutions and creditors that you are no longer responsible for any future debts. Know where every penny is and where it is going. More opportunities will come your way when you are taking charge of your new world. Stay focused on what you need to do to succeed financially. A checking account gives you the ability to easily manage your money. You can have your paychecks and usually child support direct deposited. A checking account will enable you to pay bills and stay on top of your finances. Or, two or three — one for each of your financial goals; emergency fund, down payment fund, college fund — you get the idea. Hopefully you and your ex had a household budget, if not the new you will want to have one. Your budget should reflect your current situation and balance your income with all of your expenses. While many of us get by without a credit card or loans, it can be difficult to move forward with your goals without an established credit profile. If home buying is in your future you will need to make establishing credit a priority. It’s also important to protect your credit during and after a divorce. Make sure your name is not associated with loans, mortgages or credit accounts that are no longer your responsibility. Keep an eye on your credit history to ensure all the information being reported is accurate.